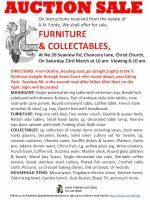 The event is a Public Auction conducted by Andy Tempro, Auctioneer. 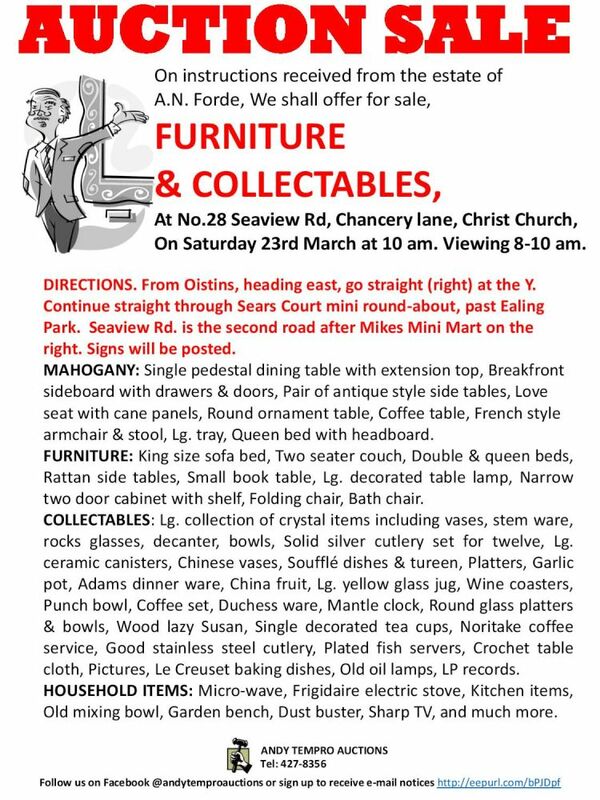 For sale are a selection of Furniture, Collectables and Household Items. From 8:00 am on the morning of the sale. Sale starts at 10:00 am. Terms: Cash on the day. See attachment for details and directions.